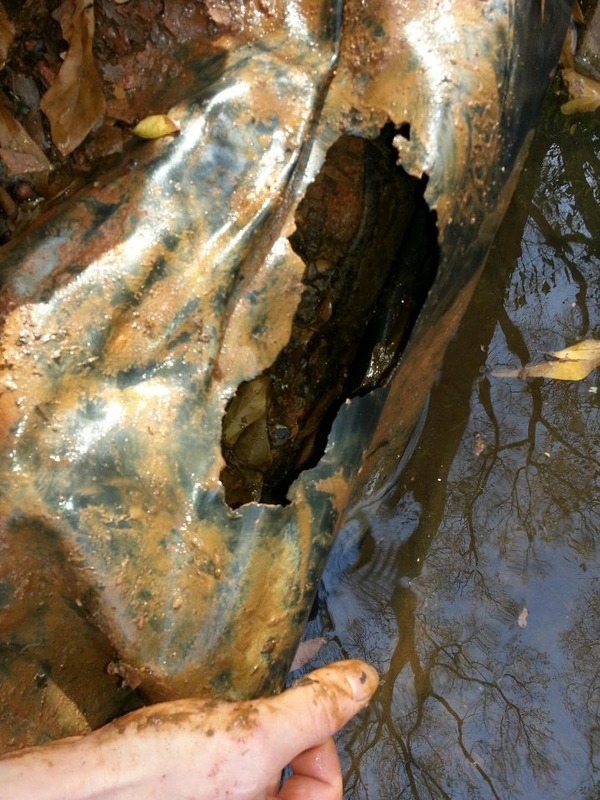 Finding a leak in a pond or waterfall on your own can be a daunting task, that's were we come in. 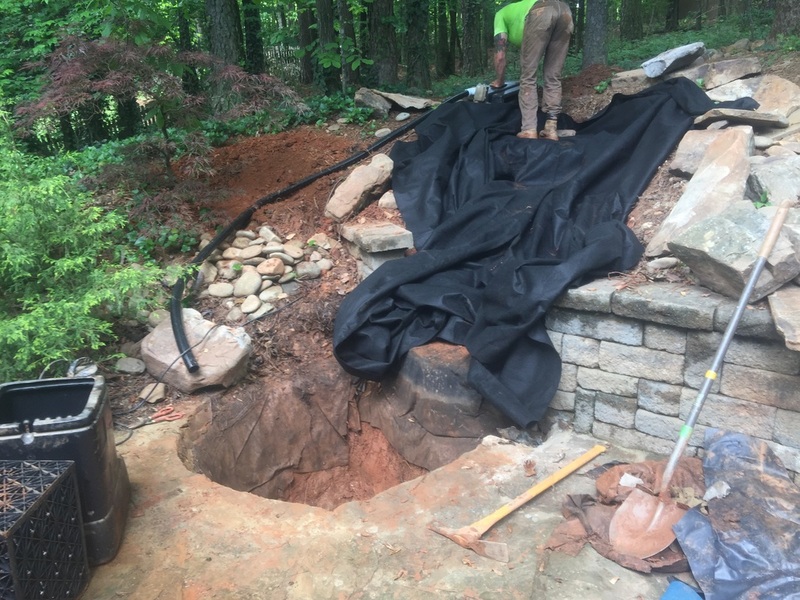 We offer Professional pond and waterfall leak repairs in the North Atlanta & Alpharetta, Fulton, Duluth & Gwinnett County areas of Georgia (GA) means.... we know how to fix your pond leak, we are experts in this area! We use a straight forward approach and proven methodology to narrow down the source of your leak as quickly as possible. 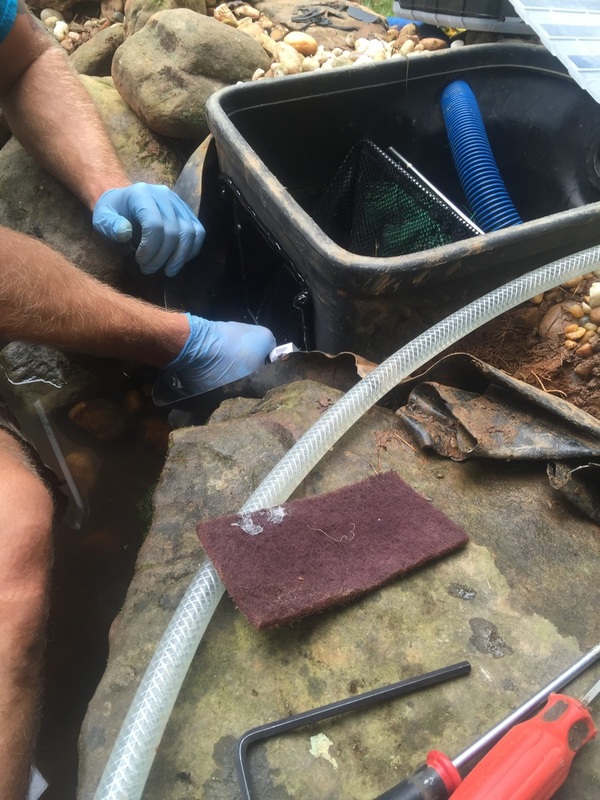 We start with the most likely suspects, such as leaky plumbing connections, skimmer and filter leaks, waterfall areas. 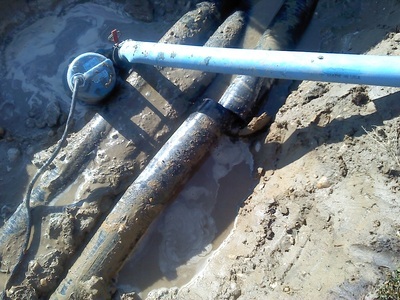 Our trained eyes know right were to look to find and fix the leak that has been causing your frustration. 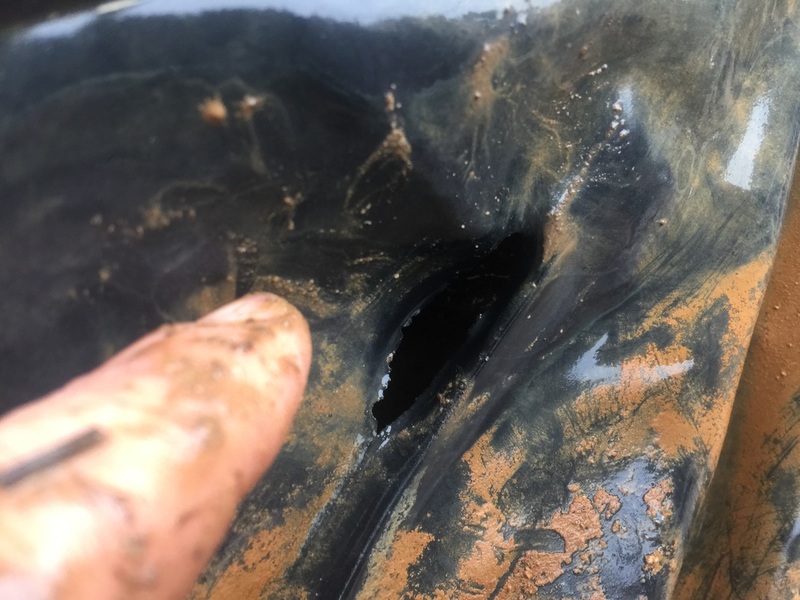 Before you entertain the thought about spending thousands of dollars replacing the liner, start with our leak guide and then our onsite leak troubleshooting services to get this problem fixed. Before we come out to your home we would like to know if the pond only looses water with the pump turned on. 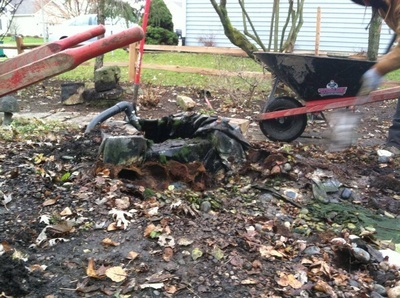 Try unplugging the pump for one day and see what happens to the water level. These instructions along with many more are covered in great detail in our leak guide below. This information will be emailed to you instantly once you fill out the form and it will teach you how to find a koi pond leak. 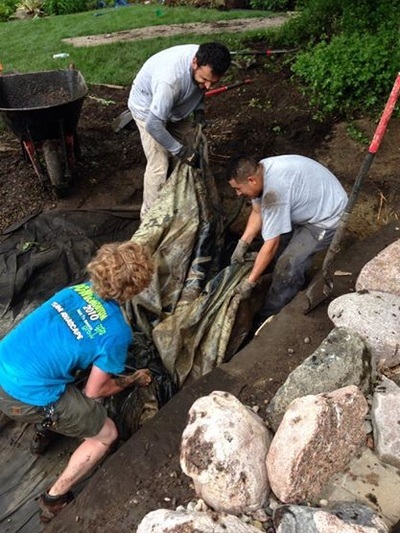 This is great starting point to narrow down your koi pond or disappearing waterfall leak. All the answers of where your pond leak is coming from will be answered in our guide! Sign up below to get valuable information about finding your leak today written by our on staff Master Certified Pond Contractor. Why is water clarity listed in the leak repair section? 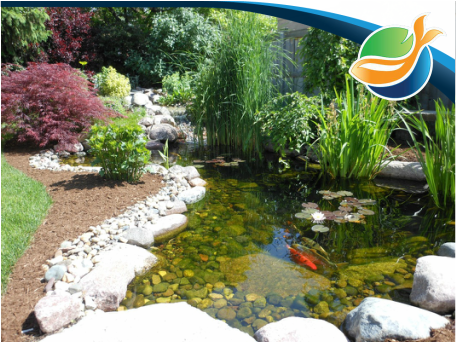 Because if you are adding water all the time to your pond because of a leak your pond ecosystem cannot become balanced. Once the leak is figured out, the algae problems and cloudy water will resolve itself. There are many types of pond filtration systems & pumps, and we’ve worked with just about all of them. 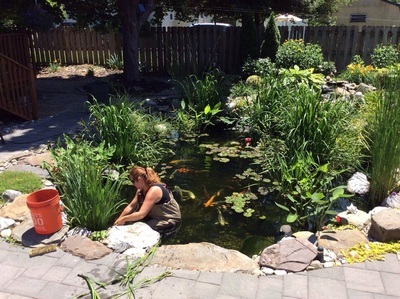 If your filter or pump worked at one time, but is no longer performing the job – we perform all types of pond filter & pump repairs that can help. 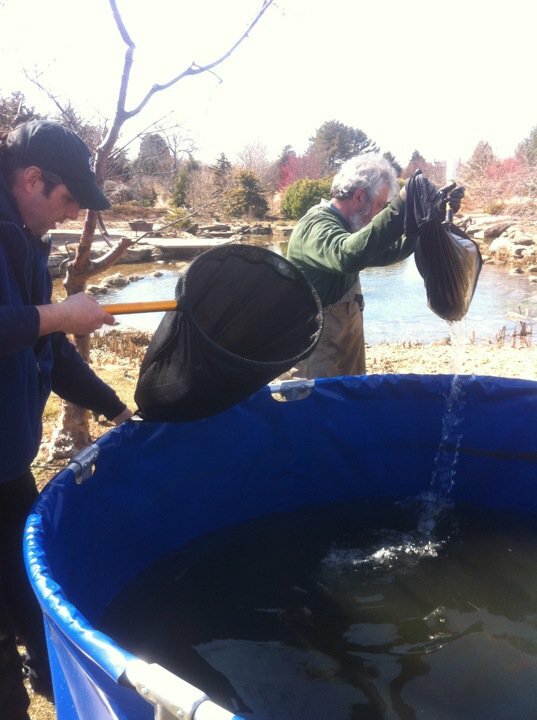 If your pond filter has never worked the way it should, we can help you with that as well. We can re plumb you current system so it runs better and is easier to operate. Customers have come to us with all kinds of waterfall problems. An improperly designed waterfall can cause a great deal of water loss, or it may just look unnatural and need a face lift. Our team has built a lot waterfalls, and we know how to do it the right way. 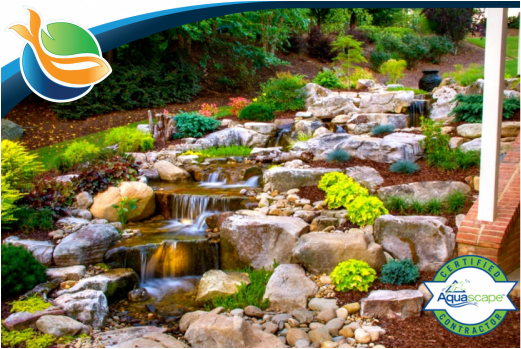 It really doesn't matter what your waterfall problem is – we can fix it, and ensure you will have many years of low maintenance enjoyment of your water feature. Rebuilding an existing disappearing waterfall.